1944 John Deere Model BO Lindeman Crawler Tractor was first produced in 1933. It was a John Deere Model BO tractor which was sent without wheels to the Lindeman Company of Yakima, Washington, where the tractor was fitted with tracks. The engine was a horizontal two cylinder petrol/kerosene unit, power output was 11.8 h.p. at the draw-bar and 16 h.p. at the pulley. The John Deere Model BO Lindeman Crawler tractors were discontinued in 1947 when they were replaced by the John Deere Model MC. 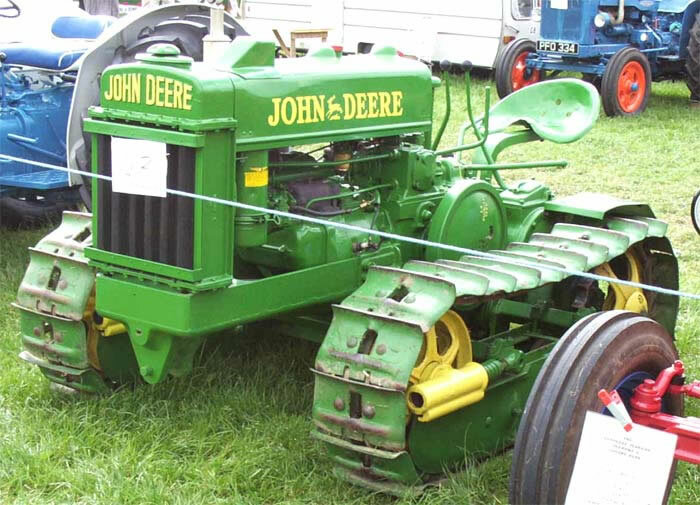 John Deere bought out the Lindeman Company in 1946.